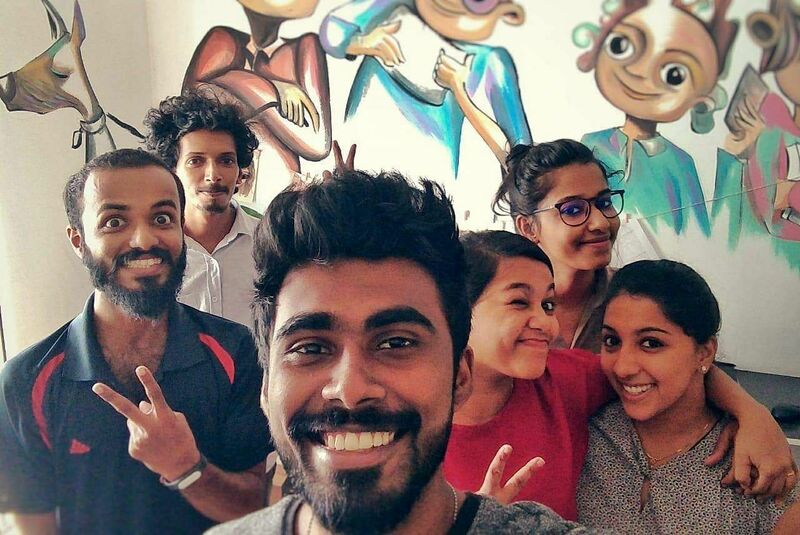 The idea was quite simple when five graphic designer friends decided that they wanted to dedicate an Instagram page to art and encourage Kochi to follow up on their love for it. Created at the end of 2018, the page is called Sketchy Kochi and it's on its way to bring some colour back into the city. "The idea basically came from our own personal wish to see more art around!" says Sidharth Jeevakumar, one of the founders. The group which also includes Amal Varghese, Amrutha Anand and Srijith VS was pretty clear on what they wanted with their backgrounds in graphic artwork. Sidharth explains, "We practise art on a regular basis. But there are times when we need to push ourselves and each other to make sure that we are working with it beyond the scope of work. And we want to make sure that other people do the same." Initially, the page was started out as a simple experiment to see if people would respond to the calls of coming into artistic action. "We didn't really want to get too many people involved when we first started out. And we haven't really posted much to this date. 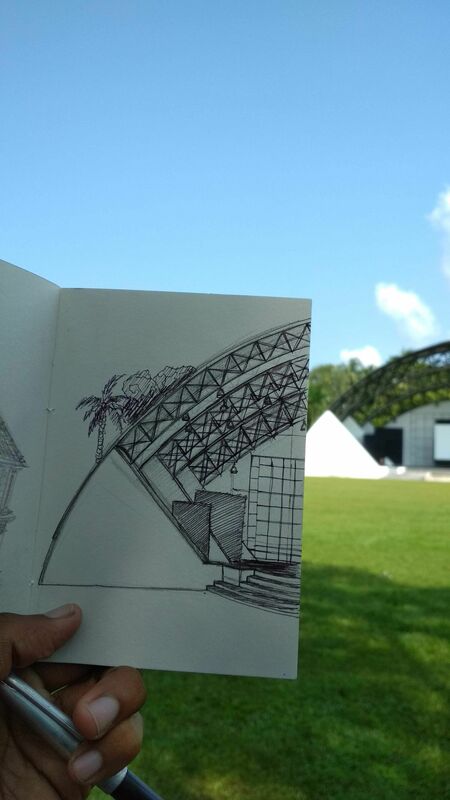 We really started to gather some attention when we launched the #Sketching30Mins30DaysChallenge where we encouraged people to practice their art at least for 30 minutes for 30 days." The crux of the idea that gave birth to Sketchy Kochi is that anybody could create their own works of art. The team explains that it is not skills or training that matter but an ability to create something new without being inhibited. Sidharth says, "When we though about it, we realised that this is not something that you need years of practice for or anything, you can just develop it out of sheer passion alone and people don't realise that often enough." He continues, "We're all graphic designers who have used the artist tag for ourselves at some point or the other. 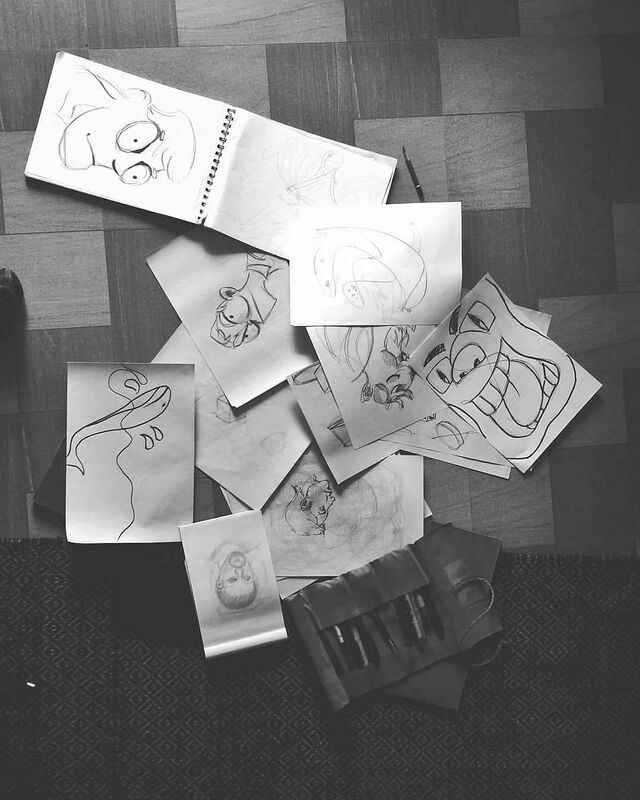 The idea is that art is for anyone to practice, it does not matter what degree they have to their name." The team of four began their work with the idea of creating an art community of sorts. For years, the team felt that there weren't enough platforms in Kochi where ordinary people could have a space where they could explore their inner artist. Sidharth explains, "More than a space where artists could create their work, we wanted to give people the avenue to realise what their art actually looks like and what they would actually like to do." The group had envisioned a space where people could contribute through whichever medium that they liked. He goes on, "We wanted to create the sort of environment that creative people have always craved. Where they could come in, discuss art and share their content. We wanted to create an artistic platform where everyone's artistic ideas and work mattered equally. We are determined that we can train the world with art." After taking these crucial baby steps on social media, Sketchy Kochi is all set to debut into the real world. Siddharth says, "Our plan is to take these initiatives to an offline platform. We had barely gotten started on Instagram when people flocked to take part in our challenges. If we take the same concept to different venues of Kochi, theres going to be so much enthusiasm and initiative from people. We have the ideas and the people of Kochi have the energy to carry it out!"